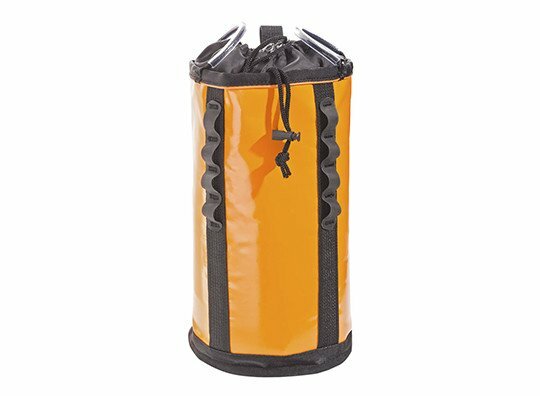 Easy to spot this bright orange bag is great for a personal haul kit or, if you’re working from elevated heights and need a bailout kit, a personal evacuation kit. We use this bag to store an emergency descender and a couple hundred feet of 7.5mm cord. You can also use it to transport smaller tools to or connectors to and from the jobsite or to send lunch up to your tower guy.